One of the great features of a Mac is the FaceTime camera, when it works correctly. 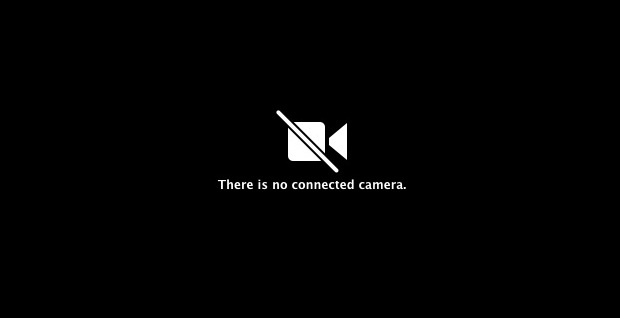 Unfortunately, you can run into an issue where you get the dreaded “There is no connected camera” error when trying to use your Mac FaceTime camera. By reading the message, you might think this is a hardware issue, but it is usually caused by the software or an application that is already using your camera. The screen you’ll see is similar to the image above. This problem has been around since Mac OS X Lion and even up to the current macOS High Sierra. If you’re using an MDM solution like JAMF, there’s been recent kernel changes in macOS High Sierra that require you to create a Restrictions Profile and explicitly allow access to the camera. Previously, you wouldn’t have to create this profile and macOS would allow access whether it was defined or not. Refer to your MDM documentation for instructions on how to create a Restrictions Profile where you would allow access to the camera.